Giff Speer is a Military Policeman. With far more in common with a private investigator series, especially a hard-boiled detective, than a secret agent, the Speer adventures nevertheless fit in because he gets assigned around the world and must go undercover often to solve the case. 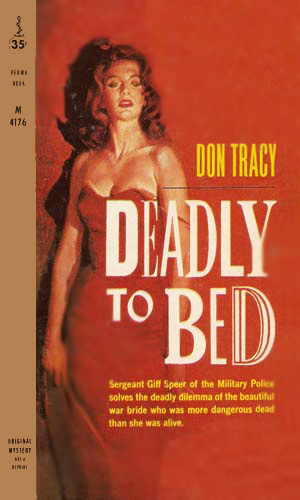 The initial books in the series has Speer first a sergeant in the MP.s and then a special, undercover agent. As the series progresses, he eventually retires but, like all good heroes, the troubles don't stop coming and he stays quite busy, ending his described career involved with international terrorism and hijacking. Speer likes the occasional drink and the occasional beauty at his side but even more, he likes a good, tough case to get in the middle of and hammer his way out. He thinks with his brain, not his fists, but he lets his fists do the explaining on more than one occasion. Since he enjoys a top-secret clearance and the respect of his bosses, it is Speer who gets pulled in when the case involves enemy agents or looks like it might. He is respectful to senior personnel but he never, ever steps back from a confrontation no matter who pulls what rank. He knows that many a crime has been covered up to protect someone's reputation or career and he is not one to let that happen when he is around. Retirement does not slow him down when it comes to excitement and danger – it just dresses him differently. While to some the murdered wife of an Army captain was the perfect spouse but to others she was the next Mata Hari. Giff Speer is told to find out who she really was and why someone needed her dead. 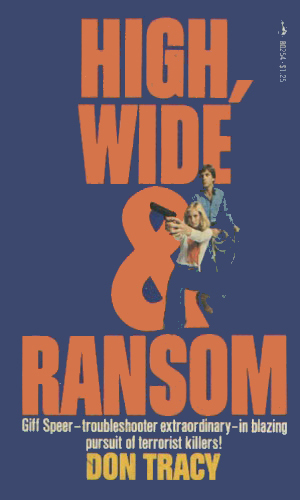 Sabotage is the crime Giff Speer is sent to investigate. Before he can even unpack his bags, he is being shot at, possibly by Communists infiltrators who want him gone. The disappearance of a prominent army colonel and subsequent emergence of his widow with more money that seemed right gets Giff Speer assigned to the case. Twenty cases of grenades were missing and the key witness was murdered. The investigator was on to something when he turned up dead. Now Giff Speer must fight against a terrorist group with no fear of killing. 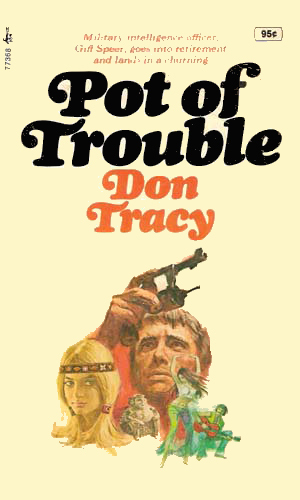 Just retired, Giff Speer accepts an invitation to visit an old friend in Arizona, soon stepping into trouble involving a priceless Indian relic. Two teenage daughters of a crusader against drugs are being help by the Mafia to force him to quit. Speer agrees to find a way to free them. 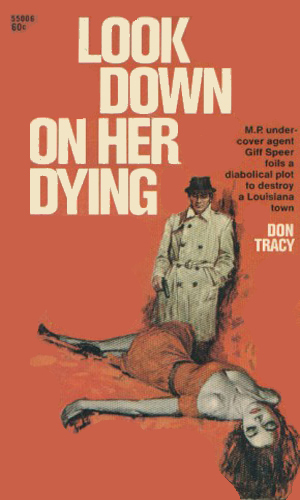 The death of an old Army buddy gets Giff Speer involved in a case where the widow of a Mafia bigwig would rather he didn't. 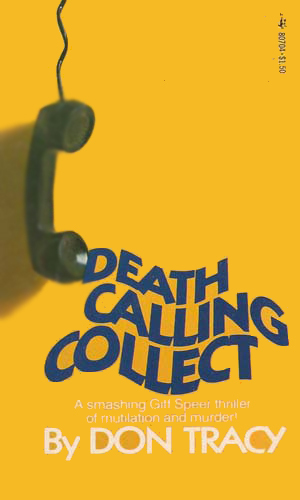 A collect call at 2:00 a.m. from an uncle pleading for help forces Giff Speer to return to a home he had left decades before and face people he'd rather not. He had just settled into his airplane seat when he is rudely interrupted by a would-be hijacker. Helping out in the matter, Giff Speer becomes involved with a fight against calling itself the Invincible Coalition. 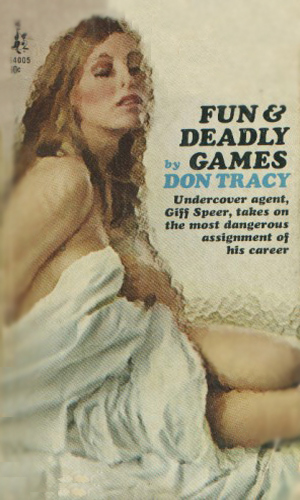 Speer is a hard-boiled detective in uniform for much of the series but he belongs in the list of spies because the cases that he handles are often connected to spies, terrorists, radicals, other governments, and trouble-makers inside the American government as well. The period of time in which Speer starts up is quite a bit different than when he is last heard from and the books reflect that but though Speer does get older and the world around him has changed quite a bit, he is still a resolute to not let a bad guy go unpunished or to let anyone hurt his country or his friends. 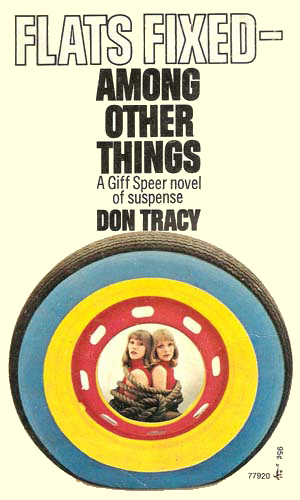 Like Don Tracy's work in general, the Giff Speer episodes vary between "undiscovered gem" and ho-hum. 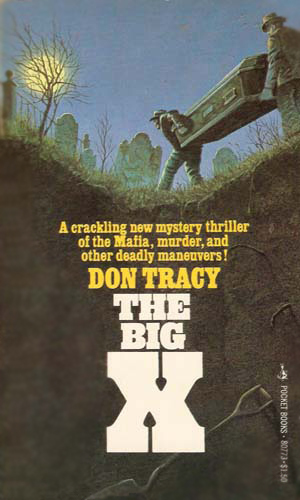 The plots of the earlier books, with Speer investigating some death or other on a military base, tend to be so similar and unspectacular they merge into a big muddle. While you don't necessarily see the solution to the whodunnit coming, you're actually not looking all that hard, because you don't actually care all that much. But Tracy's gift for turning a phrase and the solid writing put you in a forgiving mood. 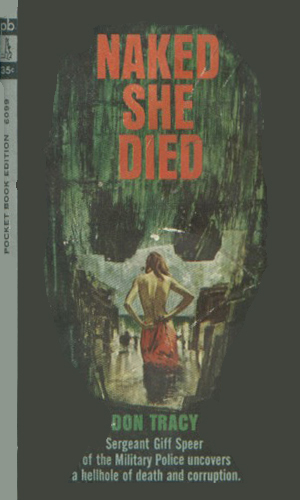 The weakest of the series is Naked She Died, the best by far is Death Calling Collect. Overall, I agree with the B-, but I like Giff enough to give the whole series a "B".